Enjoy a life of independence and abundance. Residents of Dock Woods enjoy an active lifestyle within its 108-acre campus of beautifully maintained grounds, dotted with woods that delight every season of the year. 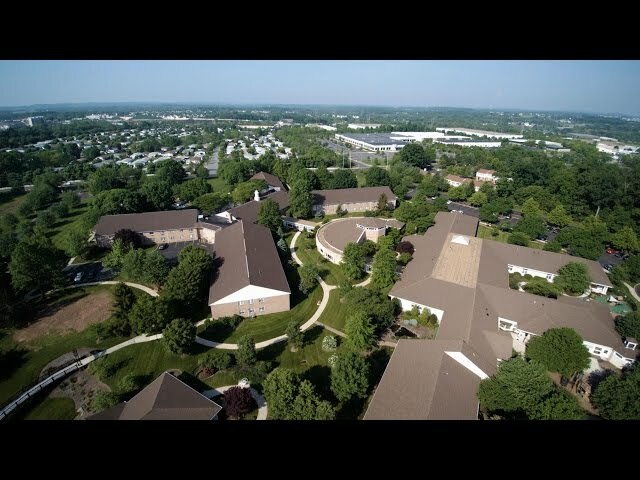 Located near the lovely town of Lansdale, Pennsylvania, this peaceful, private, and secure setting blends internal and external peace and joy for all of our residents. At Dock Woods, residents experience genuine, compassionate, loving care and concern that flows among our residents, their families, and our staff. Our community offers the full spectrum of Supportive Living services, including Personal Care, Health Care, and Memory Care. All residents have the security of knowing that they have priority access to these services should the need arise. We believe that safe, affordable housing makes a tangible difference in people’s lives. At Dock Woods, we are proud to offer two rental-assistance communities that serve residents whose income level meets HUD subsidy requirements: Dock Village for families or individuals of any age, and Dock Manor for seniors. Call us to learn how to apply. In the mood to treat yourself? Looking for a unique gift for a friend? Our shelves offer an eye-catching array of delicious goodies, simple necessities, seasonal crafts, and charming finds. The Café in the Woods is the place to meet, greet, and eat. Residents, family, friends, and neighbors head there for everyday dining, impromptu celebrations, or, simply a cup of coffee. Find out what's happening in “The Docket” newsletter and resident calendars.